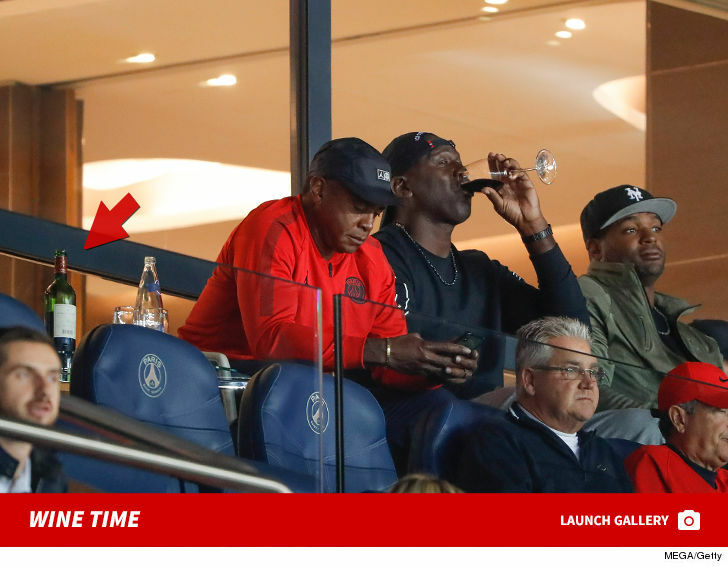 Michael Jordan proved he’s too classy to drink beer with the normies at major sporting events — instead, he sips from his own bottle of fancy wine. MJ was in the VIP suites at the Paris Saint-Germain vs. Reims game in Paris on Wednesday — where he watched Neymar dominate in a 4-1 victory at Parc des Princes stadium. He also apparently brought in his own bottle of red. Guessing they waived the corkage fee. Jordan was treated like the legend he is during the game — since PSG recently teamed up with Jordan Brand for a collaborative range of threads. 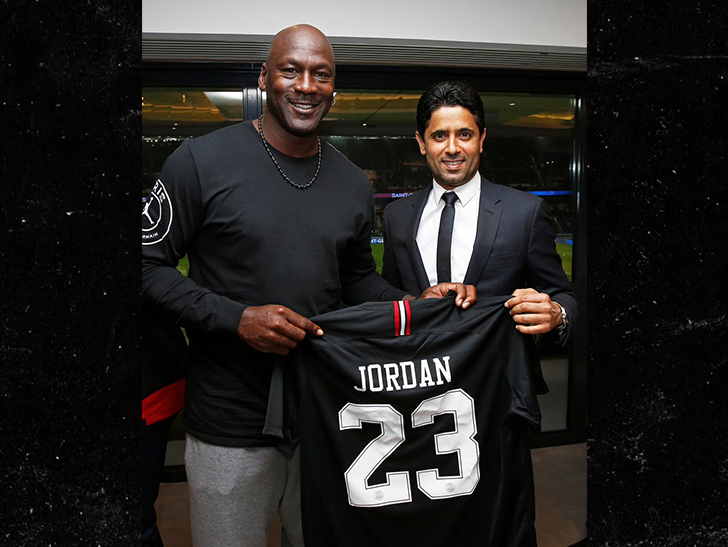 The team prez even presented MJ with his own custom #23 jersey. 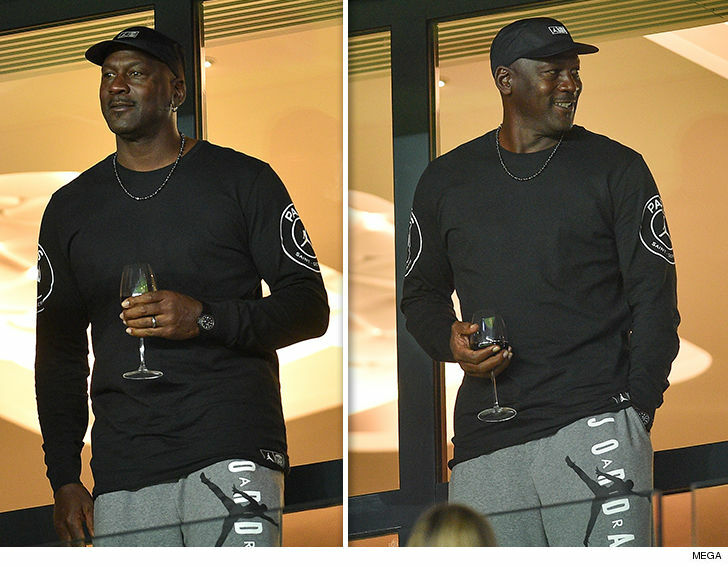 Jordan took in the game with his pal, Ahmad Rashad — no word if he let the ex-football player dip into his wine. No word on what brand Jordan was drinking — but the guy’s a billionaire so you know he ain’t sippin’ the cheap stuff.